given my success so far, i may have to resort to using a broker to find a new apartment. i met a nice broker in the nail salon last week but she deals in the higher end apartments – which is probably why she seemed like a good broker. the ‘low end’ of the spectrum is quite a different story. what exactly do you get by paying a one month + fee? well, here’s an example. 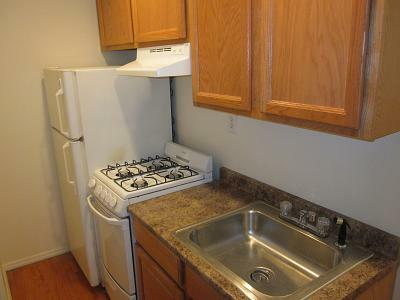 you get someone who has no trouble insulting your intelligence by describing the kitchen pictured below as a ‘chef’s kitchen’, cannot spell the word ‘ad’ and calls the closet space ‘cute’. This entry was posted in humor and tagged someone please help me find the perfect apartment!. Bookmark the permalink. I lived in Brooklyn for 6 years, I worked in the city, I know what a nightmare apartment hunting can be. good luck!